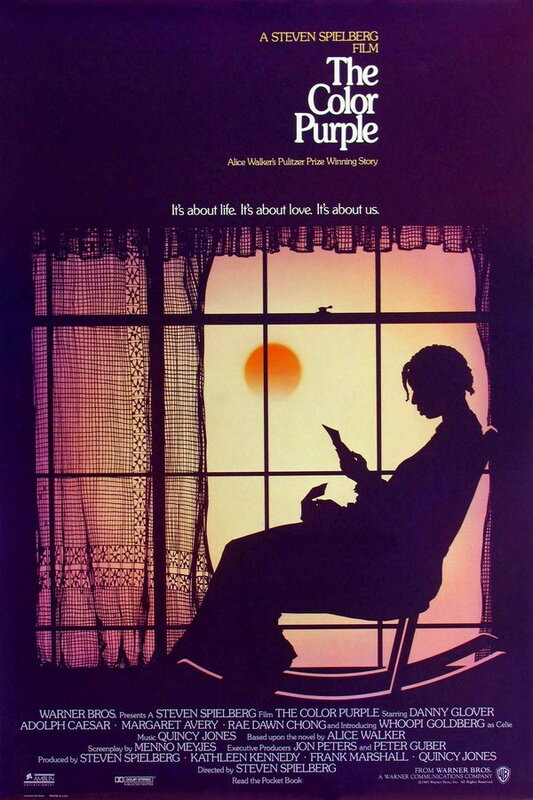 The Color Purple is a 1985 American period drama movie based on the novel of the same name by Alice Walker. The movie depicts the problems of African American women faced during the early 1900s through the life of a young African American girl. The font used for the movie title on the poster is probably ITC Souvenir, with letters manually condensed. Originally designed by Morris Fuller Benton in 1914 and then redesigned by Edward Benguiat in 1967, the typeface is rounded and informal in appearance, evoking a nostalgic friendly feeling. You can view more details about the font here. In addition to The Color Purple, Souvenir typeface is also used in the following logos, movie posters or album covers etc., including: Showcase, Astroworld Tour, WKRP in Cincinnati, E.T. the Extra-Terrestrial, Videodrome (film), Golden (Kylie Minogue), Hormel Spam Logo.